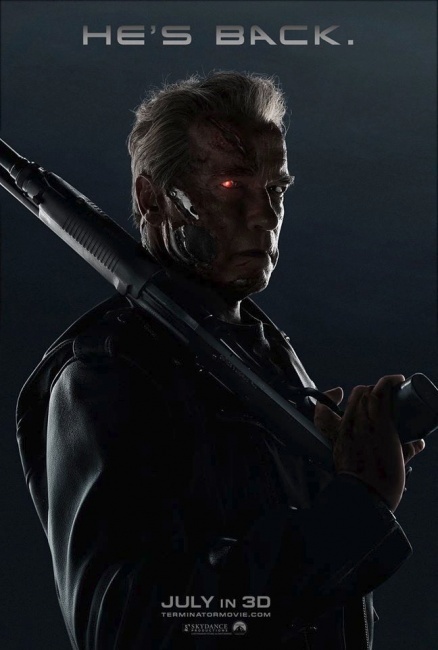 Paramount Pictures and Skydance Productions have shared the Big Game TV spot and a new poster for Terminator Genisys ahead of the Sunday broadcast. 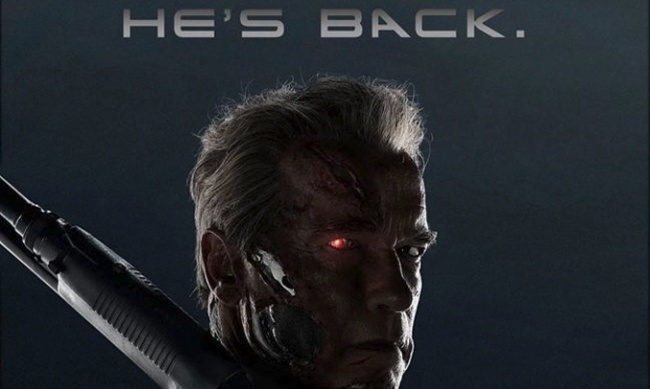 Looks like Schwarzenegger will get to recycle the famous "I need your clothes, your boots, and your motorcycle" line in this reboot, since the spot opens with him landing a bike on a school bus, which was seen at the end of the first trailer (see "First 'Terminator Genisys' Trailer"). The movie opens July 1, 2015.